Hello! What to tell you about me? Well, I’m pretty new to this blogging malarkey, still figuring out how it all works but it’s been something I’ve thought about on and off for a while so thought I would give it a go! From the Scottish countryside but currently living in Chorlton, Manchester with my beardy other half and two mischievous kittens, we bought our lovely Victorian terrace around a year ago and are slowly and lovingly doing it up… It’s handy that I live with a slight DIY obsessive! This currently forms a rather large part of my life! I love food; cooking it, reading about it and most of all eating it! Food is definitely always best shared and enjoyed with others. Some of my favourite childhood memories are helping my mum in the kitchen and digging up veggies from the garden. We would make jam tarts, fairy cakes and peppermint creams. Spinach soup with leaves fresh from the garden, massive family lasagnes and apple and bramble crumbles. You might want to consider travelling to Prague or Manila. We have a lot of gustatory delights that may entice your senses. Hey, thanks for stopping by! I’ve actually been to Prague twice, it’s a beautiful city! Contrary to a lot of people’s perceptions, I’ve had some amazing meals in central/eastern Europe, Poland in particular! Haha, it’s certainly a divisive one! 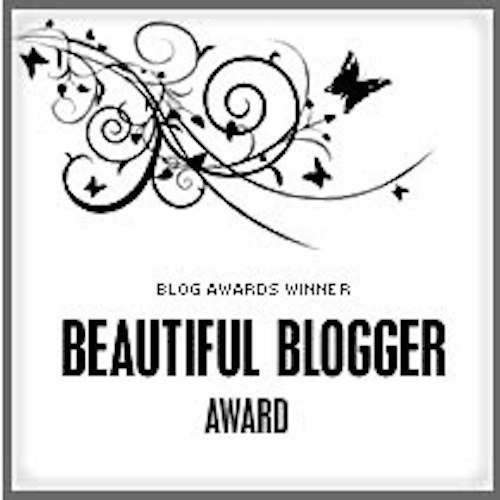 Wow, my first ever blog award! 🙂 Thank you, and I also really like yours!